NAIROBI, Kenya, Jan 16 2019 (IPS) - On 15 January 2019, terror struck Nairobi’s 14 Riverside Drive. Fortunately, they have always been on the losing side of history. 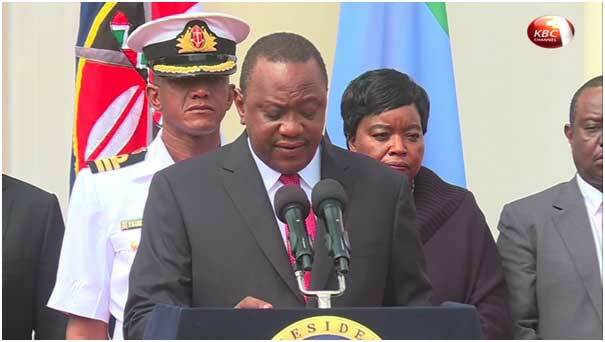 The attack on 14 Riverside Drive should not deter Kenya’s resolve, but should further strengthen the country’s determination to overcome adversity and challenges that threaten its social fabric. We applaud the work of Kenya’s security emergency rescue services and first responders, who mobilised in remarkable timeliness, demonstrated exceptional professionalism and heroism, thereby keeping the number of fatalities to a minimum. We also commend Kenyans for their heroic acts and solidarity for one another during this time. The United Nations Secretary-General Antonio Guterres, in his message “has strongly condemned the terrorist attack in Nairobi and extends his condolences to the families of the victims and wishes those injured a swift recovery. The Secretary-General expresses his solidarity with the people and Government of Kenya(GoK)”. The reality is that a multitude of stresses impact vulnerable populations around the world, leaving many disproportionately susceptible to extremist ideologies — driven by factors such as surging youth unemployment — which terror groups take advantage as a considerable reservoir for recruits. There is a need for concerted efforts to weaken the terror groups’ narrative and win the battle of ideas. The UN remains steadfast in its support to Kenya’s development agenda, including commendable initiatives by the government based on a long view of the prevention of violent extremism in line with the UN Development Assistance Framework. Together we can pursue smart, sustainable strategies that augment security with what the UNDP Administrator Achim Steiner describes as the triple nexus, “Achieving the 2030 Agenda and ensuring no one is left behind requires a pro-active, evidence-based and holistic approach to risk, resilience and prevention across humanitarian, development and peace effort.” This approach will be a long-term antidote to terrorism and the key to preventing violent extremism. This was an act of Islamic terrorism committed by Muslims in order to establish Islam as the dominant religion in Kenya. But there is no mention of Islam or of Muslims. When will you stop publishing fake news?